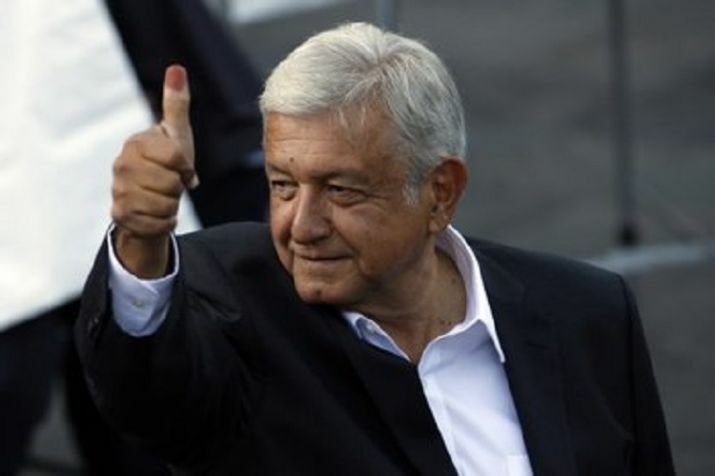 US President Donald Trump is sending his congratulations to Mexico's Andres Manuel Lopez Obrador on his apparent victory in Sunday's presidential election. Mexican conservative party candidate Ricardo Anaya conceded he had lost the election to leftist candidate Andres Manuel Lopez Obrador on Sunday. Anaya said the elections results so far showed that Lopez Obrador's Moreno Party had won the presidency with a resounding double-digit margin of victory in the vote tally. Lopez Obrador won over 40 per cent of the overall vote, with the two other main candidates winning slightly over 20 percent each and a fourth candidate winning just over six percent. It was Lopez Obrador's third try at winning the Mexican presidency, spanning almost 20 years. US President Donald Trump is sending his congratulations to Mexico's Andres Manuel Lopez Obrador on his apparent victory in Sunday's presidential election. In a tweet about the leftist populist candidate, Trump says: "I look very much forward to working with him. There is much to be done that will benefit both the United States and Mexico!"